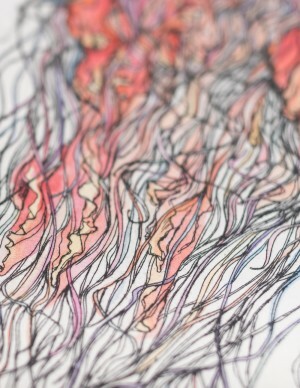 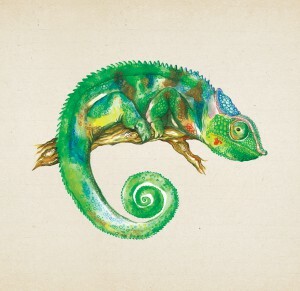 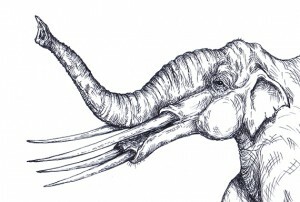 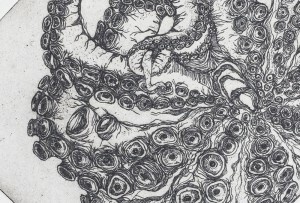 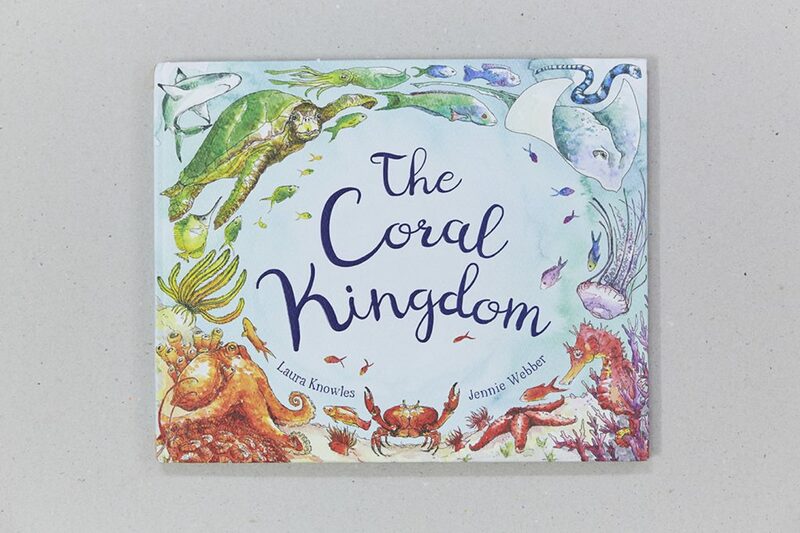 My latest children’s book ‘The Coral Kingdom’ explores the magical underwater world of Australia’s Great Barrier Reef. 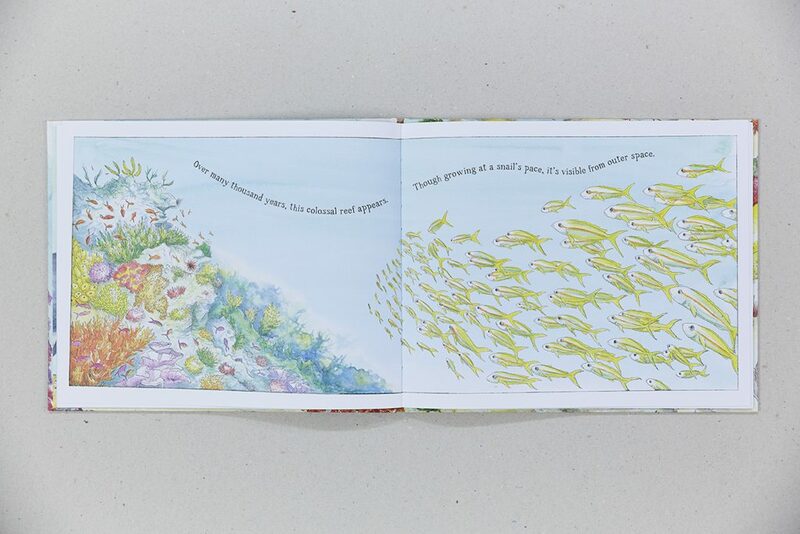 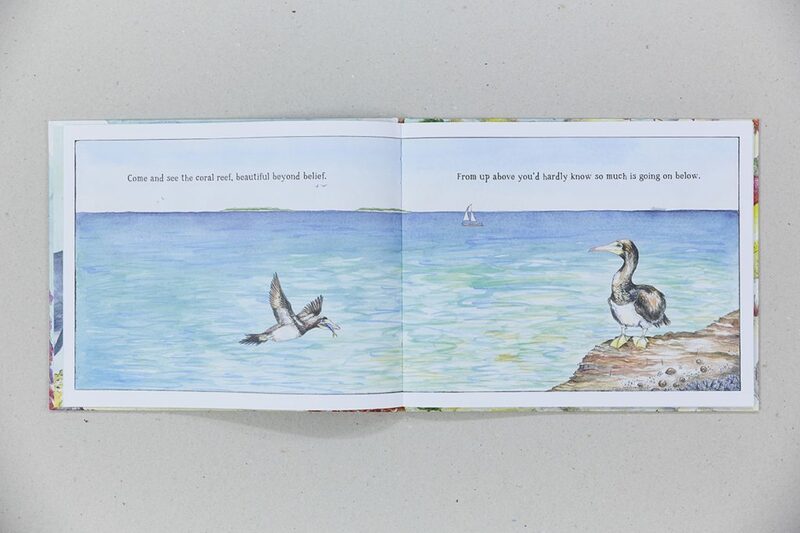 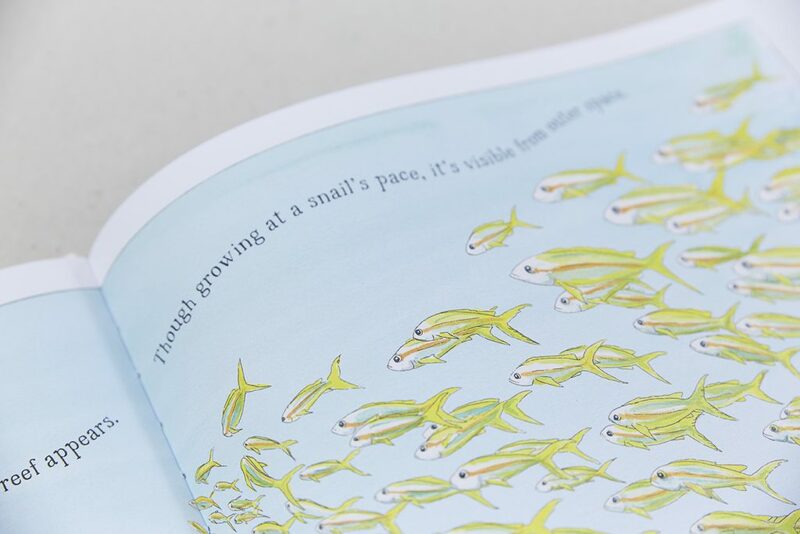 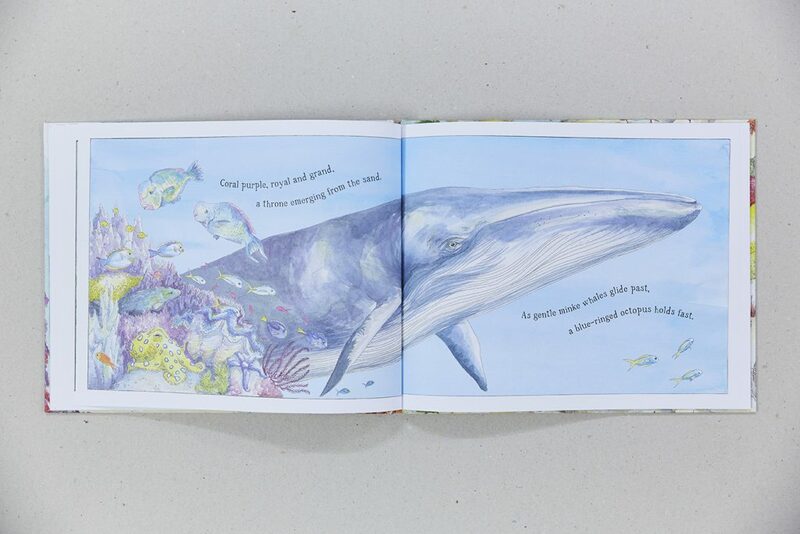 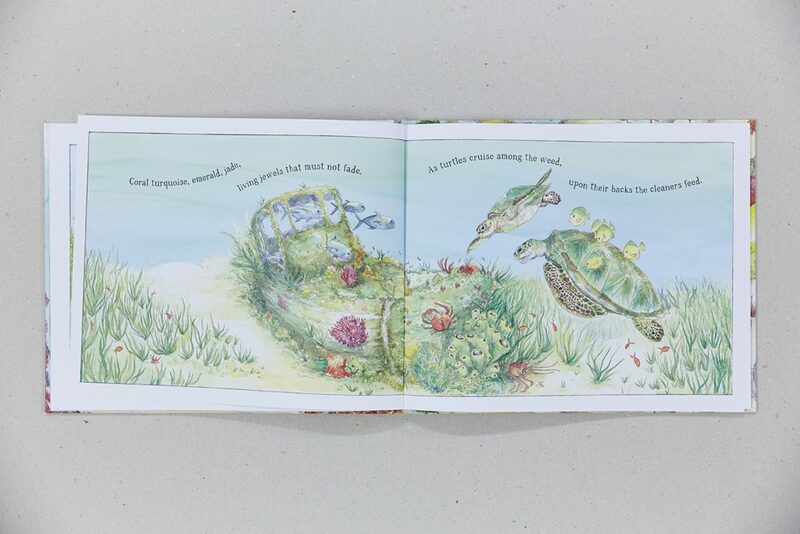 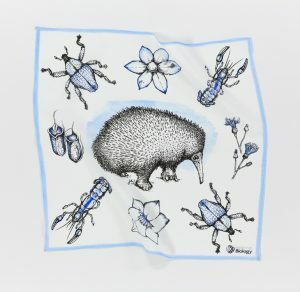 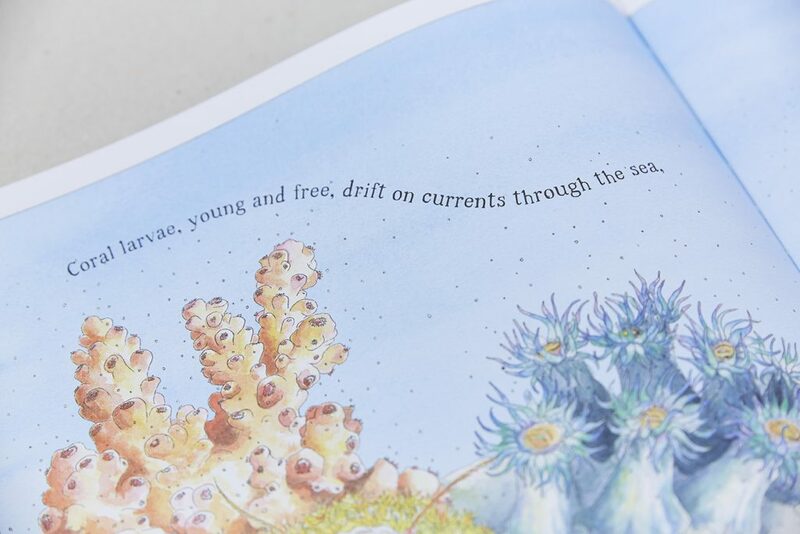 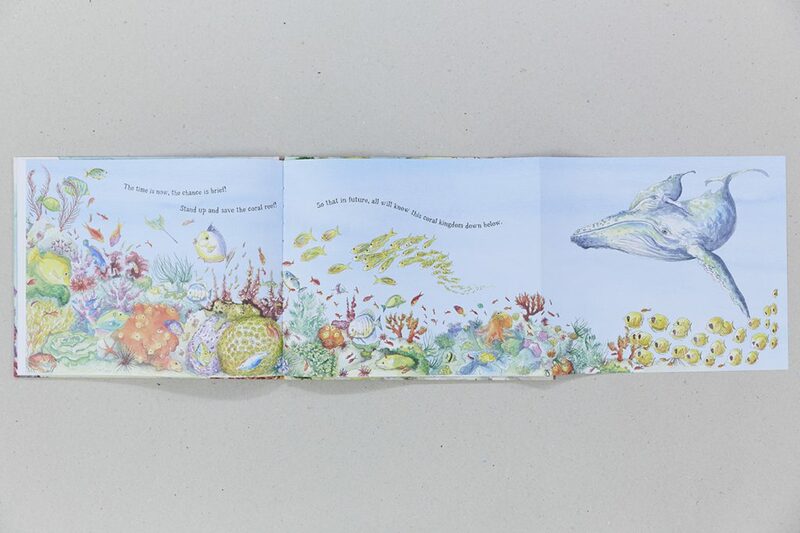 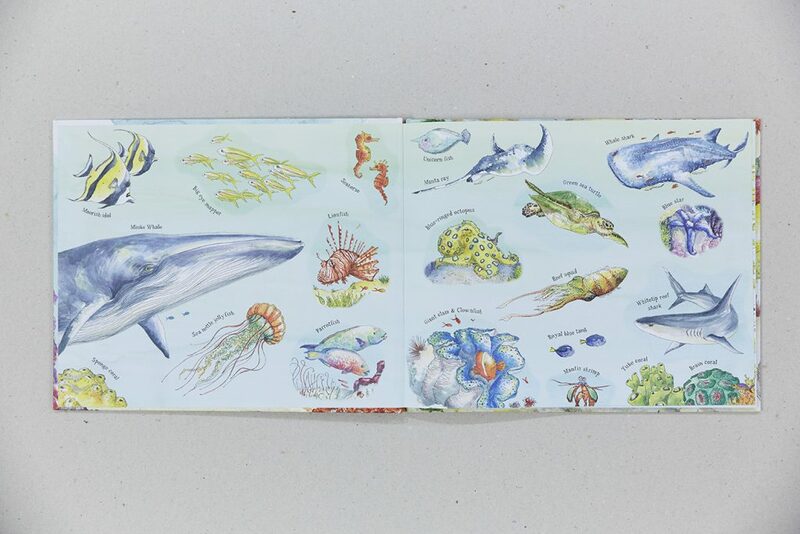 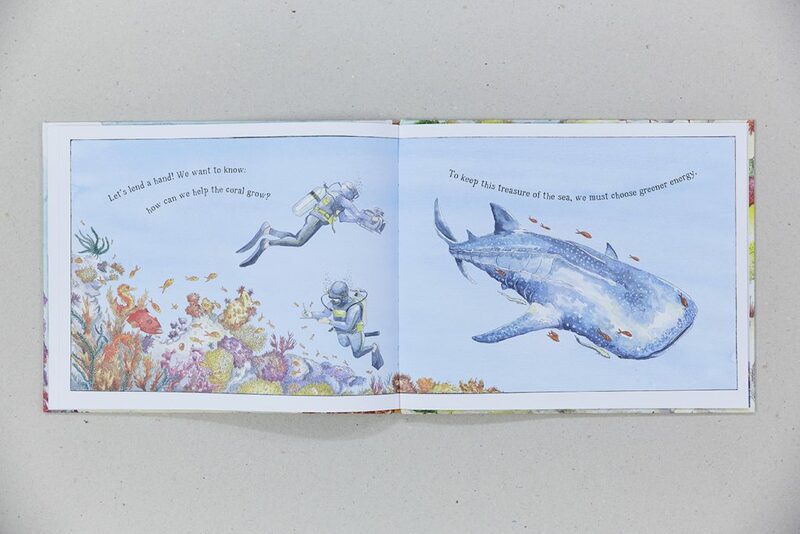 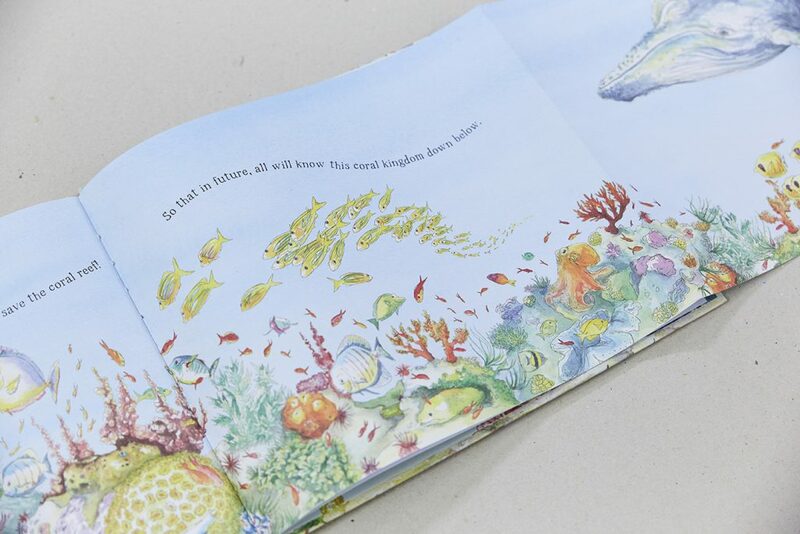 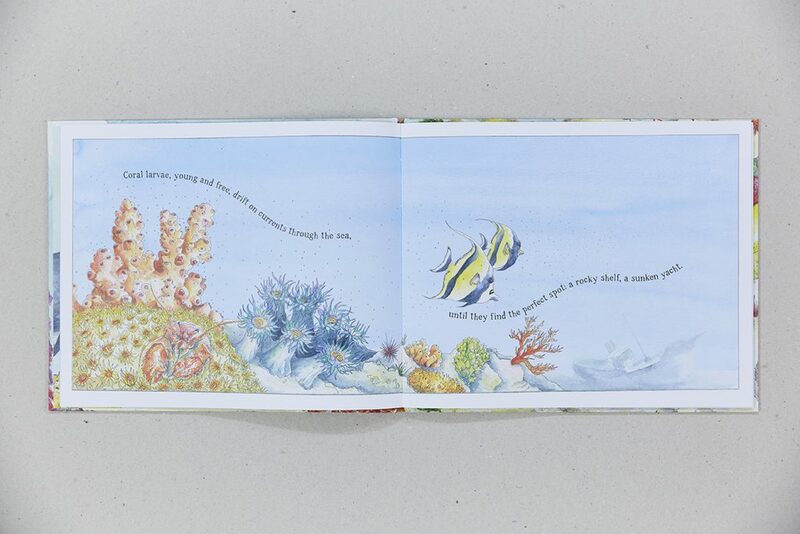 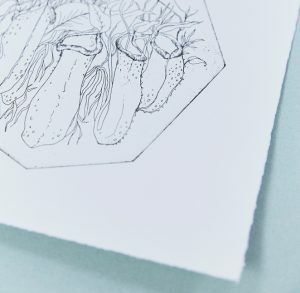 A subject very close to my heart, the book invites both children and adults alike to discover the colourful reefs and the vibrant marine life they support whilst communicating the urgent need to conserve this vital ecosystem. 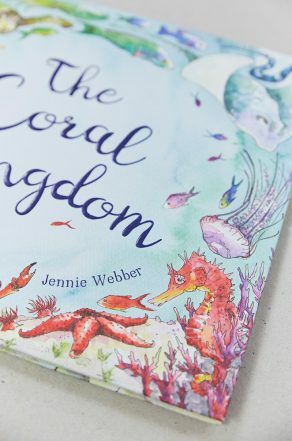 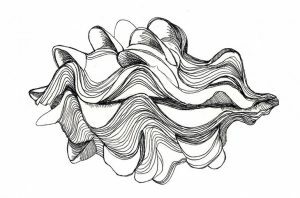 Reefs around the world are suffering from irreversible bleaching caused by ocean acidification and climate change, and this book aims to help encourage appreciation for this unique natural wonder vital to so many animals and humans. 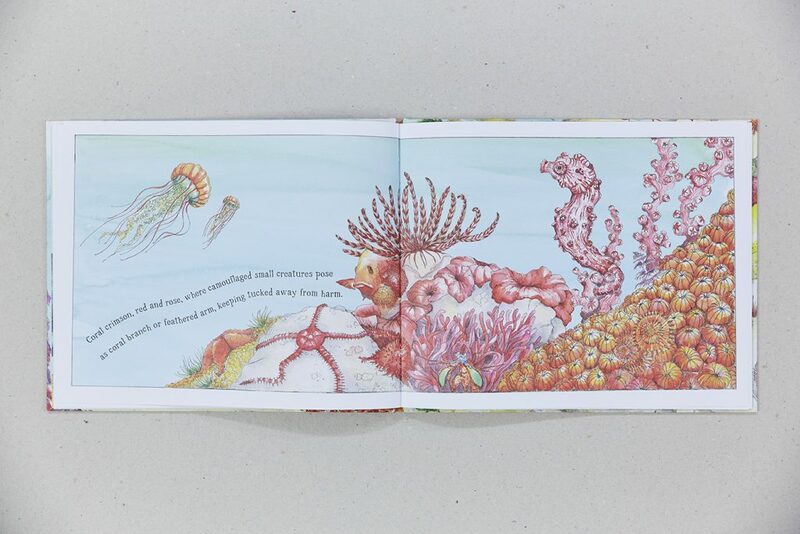 Charismatic crabs, elegant stingrays and magnificent humpbacks are just a few of the reef’s visitors featured within the pages, and if you look closely you might be able to spot spiny lobsters, pygmy seahorses and camouflaged octopus. 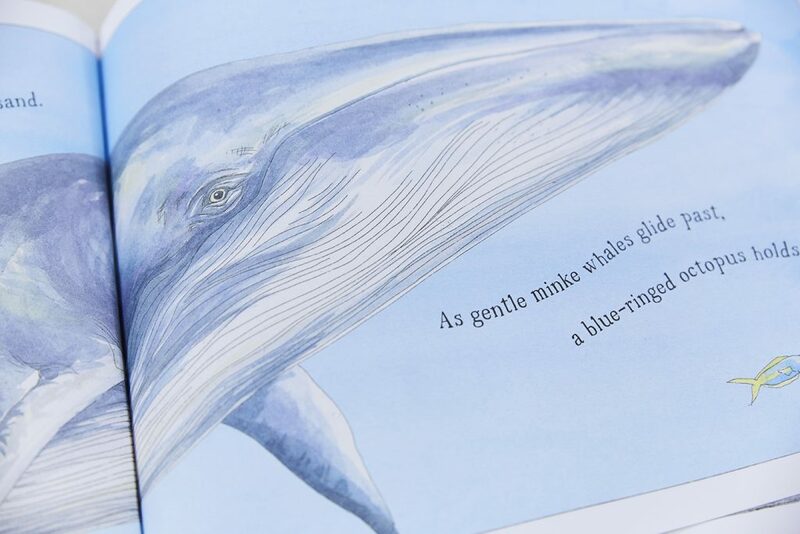 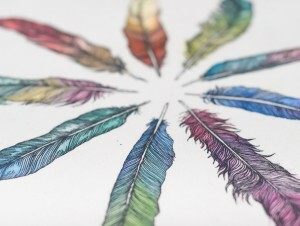 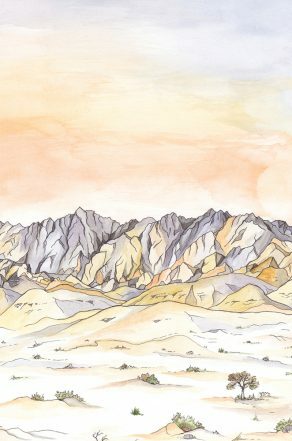 The illustrations were created through hard ground etching, then painted with watercolour and accompany a gentle rhyme beautifully written by Laura Knowles. 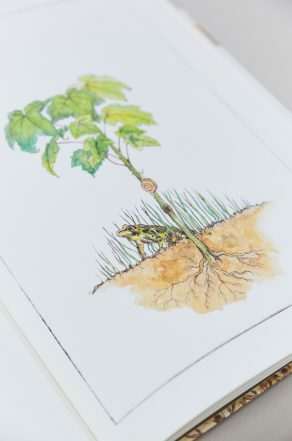 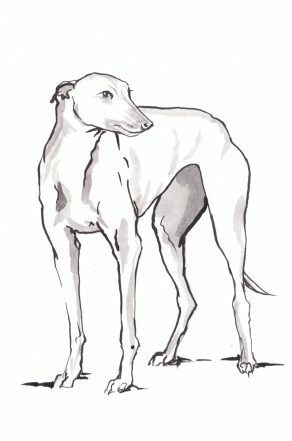 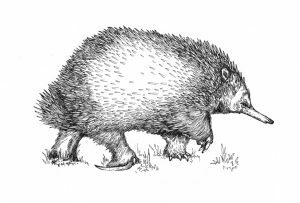 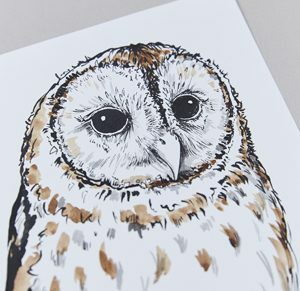 The book was released in March 2018 and you can purchase a signed or dedicated copy via my online shop.